October is LGBT History Month and is now honored around the world, and is hosted by Equality Forum. During October, we come together to celebrate the achievements of 31 lesbian, gay, bisexual or transgender Icons. 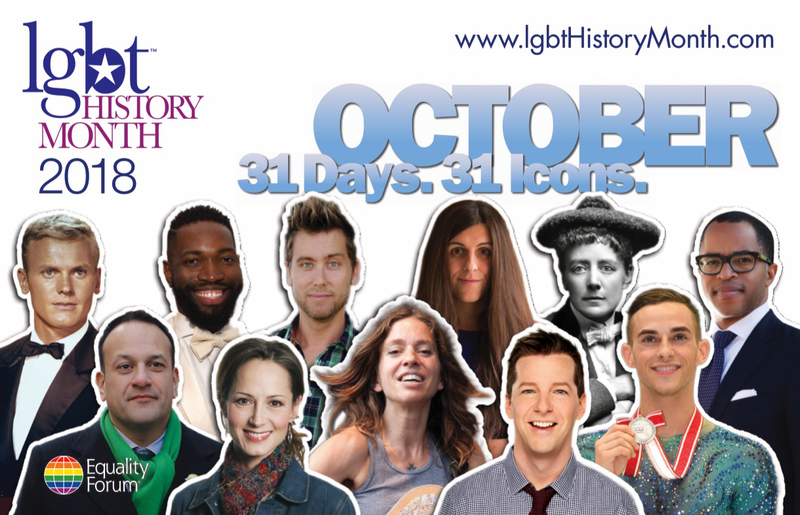 Each day in October, a new LGBT Icon is featured with a video, bio, bibliography, and more. Equality Forum is a national and international LGBT civil rights organization with an educational focus. Equality Forum coordinates LGBT History Month, produces documentary films, undertakes high-impact initiatives and presents the largest annual national and international LGBT civil rights summit. For more information, visit www.equalityforum.com.